This variation of our 'Cradle' design combines contemporary aesthetics with original forms. 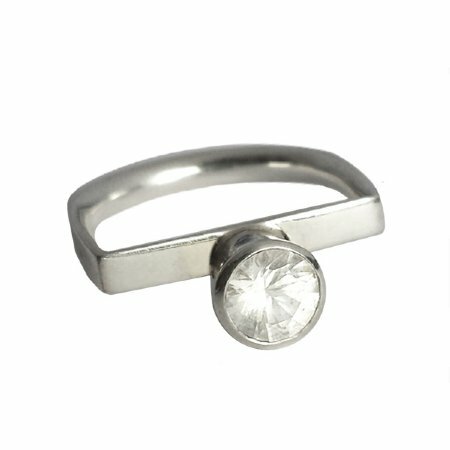 It features a stunning white sapphire in the centre of a sterling silver band. This design is perfect for stacking with other Cradle rings. As this ring is custom made, there is a 2-3 week lead time.